We are an Australian owned family business turning 21 this year. We have a retail shop in Morningside, where you can see our friendly faces. With years of experience we will make sure you have the best systems that suit your needs. Rent or buy water coolers for your office, school or factory. Boiling Water, Ice makers, Air filters, and the whole range of water filters including reverse osmosis, fridge filters, shower filters, camping filters, coffee filters, filters for your every need. We can service and maintain your filters and provide immediate answers to your needs. We can offer unlimited supply of spring water quality at a fraction of the price with the convenience of never running out. Our FREE reminder service and our service men will make sure your systems are sanitised and always in premium working condition. We can offer you a free trial on water coolers so that you can try before you buy, we service Australia wide. 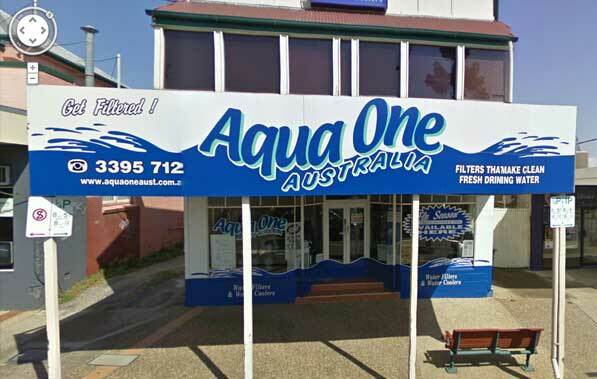 With Aqua One Australia you can have a system installed and never have to think about it again with our maintenance programmes. Take your existing tap water, add an Aqua One water filter, and instantly you have the quality of bottled water at a fraction of the price. There have been many water scares in Australia in recent times. When you switch to an Aqua One system, you'll always have peace of mind that the water you are drinking will be safe. With an Aqua One system you never again have to break your back lifting bottles, or find somewhere to hide them. An Aqua One system will remain hidden always leaving you with more office space, and less worries. Let's face it, many of the problems associated with the bottled water come from the handling. With a system from Aqua One, those problems are a thing of the past. A filter system for Aqua One is not only more convenient, it usually saves you money. Call us TODAY and let us show you how you can have permanent, fresh water, for a fraction of the price of bottled water. We service and repair all makes of water filters, coolers and bubblers. Our technician are fully trained in servicing and repairing Aqua Cooler, Zip, Clover, Waterworks, Billi, Boiling Billy, Insinkerator, and all brands of filters. We stock a full range of John Guest quick fit connections.